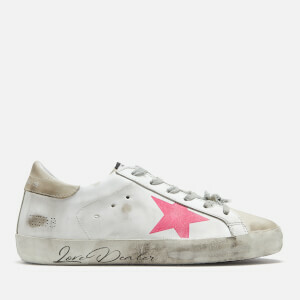 Pink ‘Hi Star’ leather trainers from luxury Italian footwear company, Golden Goose Deluxe Brand. 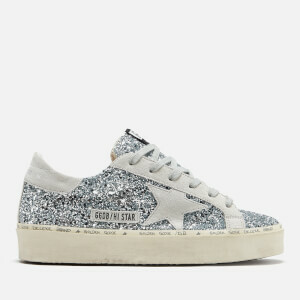 Crafted with smooth pink leather uppers, the women's sneakers feature a rounded toe, eyelet detail for breathability and signature star appliqué with silver metallic overlay detail. 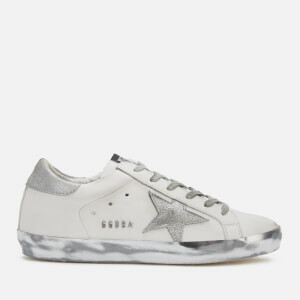 Fastening with contrasting laces, the low-tops are set upon an off-white platform sole with graffiti-style branding. Distressed smudging throughout. 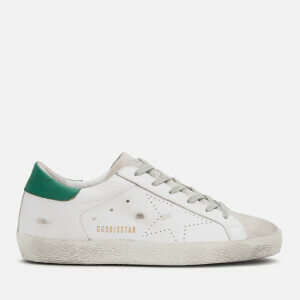 Logo detail at the tongue and heel adds the finishing touch to the design.